We challenge you to find a classic basil pesto that starts with fresh hand picked basil leaves, from the field to our kitchen, to yours. 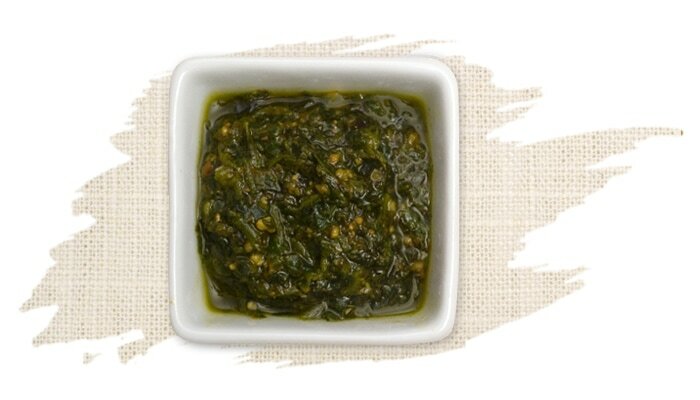 Our artisan sauce making team starts with simple wholesome ingredients to offer a fresh alternative to dull, lifeless jar pesto. We kept it a bit chunky for the artisan mouth feel and look. The aroma of field fresh basil bursts from the jar, garlic, pine nuts and freshly grated Parmesan are along for the ride.